An alarm sounds and the indicator lamp flashes. 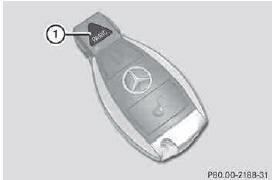 or X Insert the SmartKey into the ignition lock. The Product label with FCC ID and IC certification number can be found in the battery case of the SmartKey.